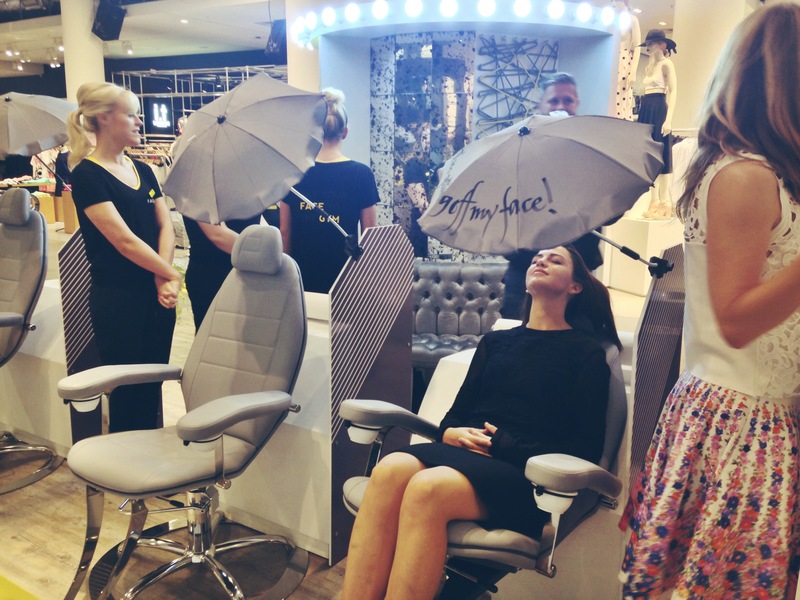 Emotiveness and personalisation were the resounding themes at this years Beauty Project at Selfridges. 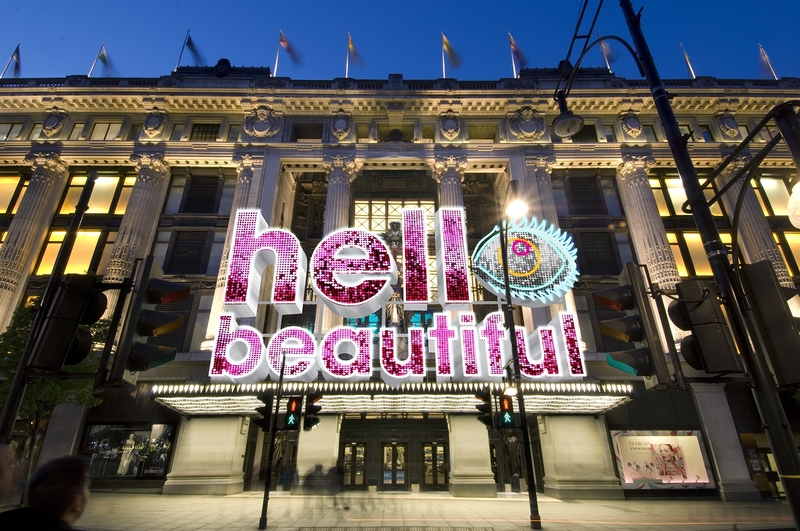 My most favourite London department store opened it’s doors to bleary-eyed bloggers and journalists at 8am yesterday morning, for a first-look at the exciting beauty projects, exclusive launches and experiences they have going down, and BOY did they excite! What We Ate & Drank: Fresh green juices and coffee. Grapefruit and mint fruit salads, berry and bio yogurt compote and mini muffins. For me, a trip to Selfridges Beauty Hall is better than; a burger, a chilled cocktail, a roller-coaster ride, okay, most things…from May 1st things get even better because Selfridges have jam packed a super-fun and informative event schedule, brimming with influential and informative speakers like: celebrated make-up artist Charlotte Tilbury, Beauty editor Sali Hughes, supermodel Elle MacPherson, running interesting and thought provoking, hands-on events. Some events are free and some you will need to purchase a ticket for, but most have a list and when spaces are gone they are gone! 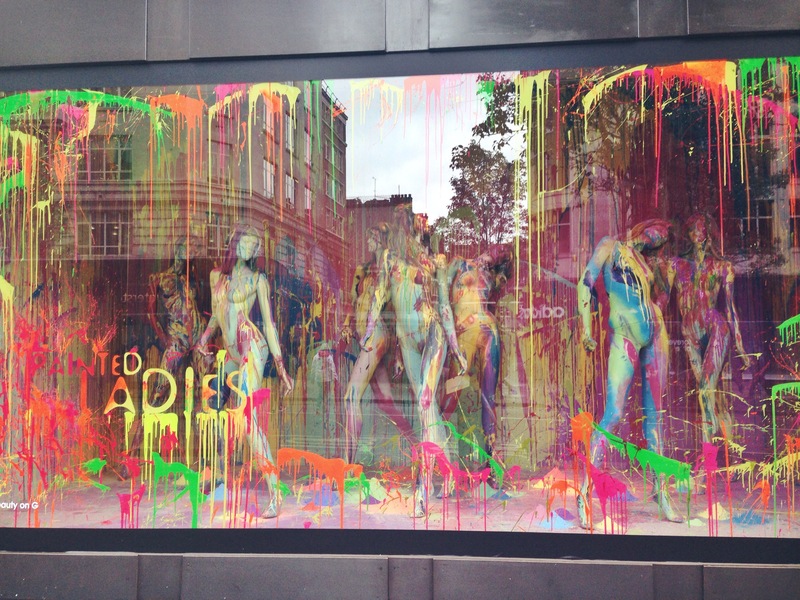 Selfridges are famed for their exciting and innovative window displays! 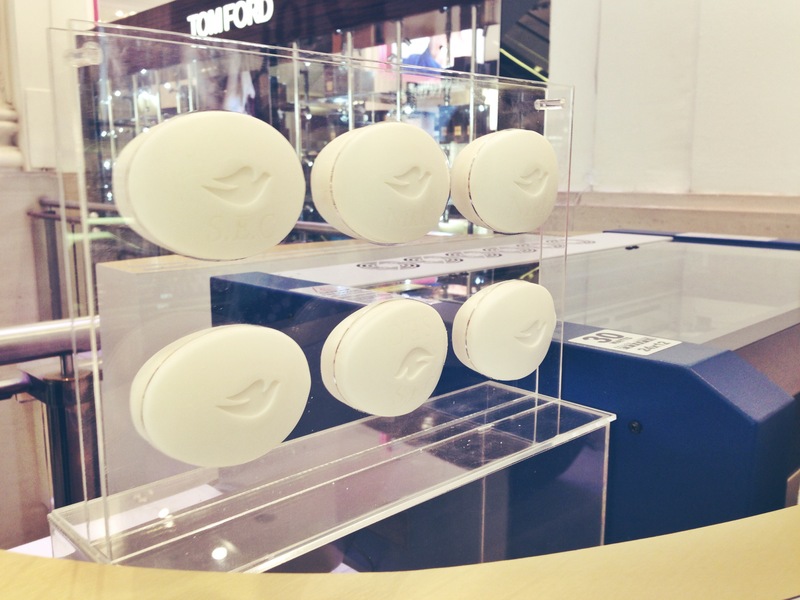 Make sure you take a look at their beauty inspired displays. 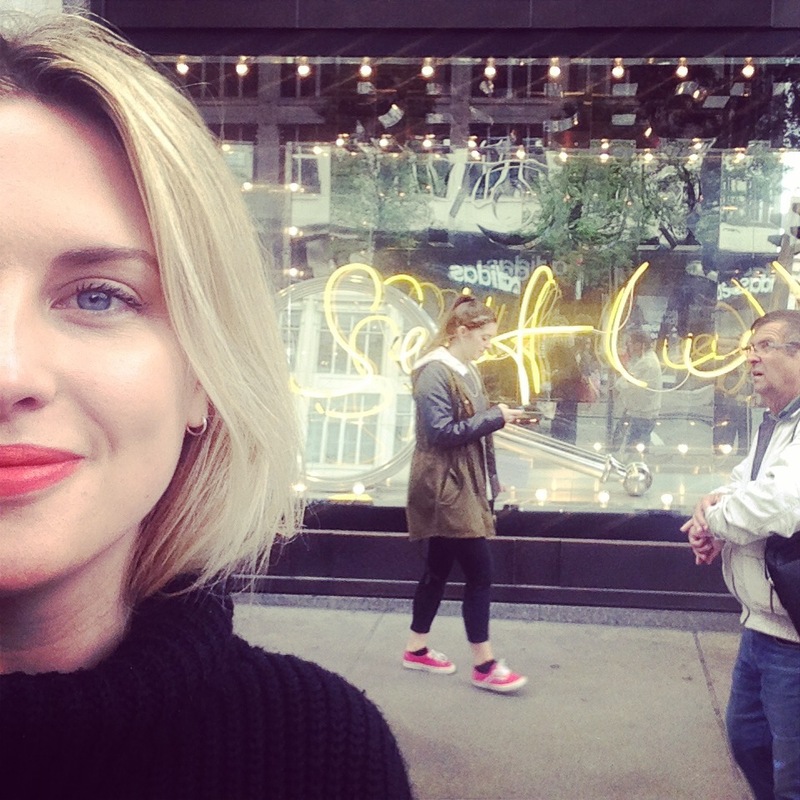 I snapped a selfie in front of the “selfie” window, standard Blogger behaviour. 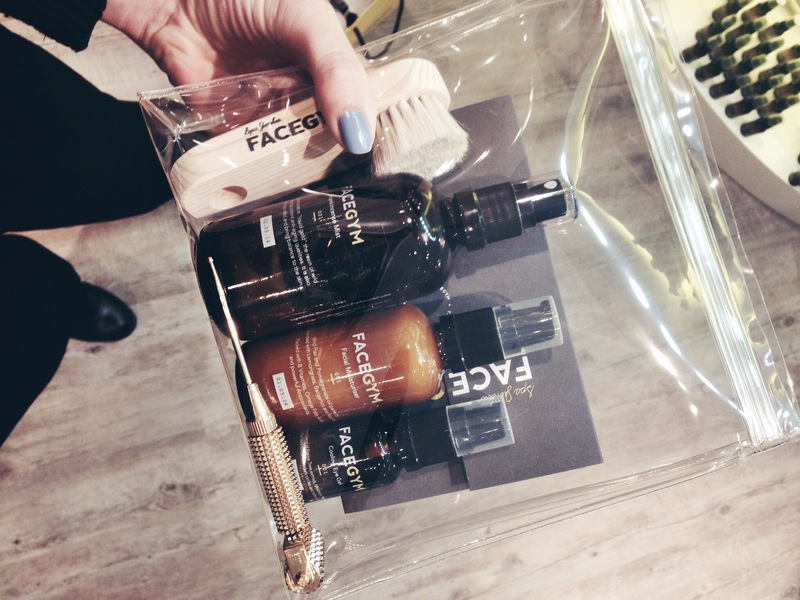 Face Gym is a crazy concept but theoretically sound, new regime for your facial muscles which aids a more lifted and youthful face, whilst stimulating your skins renewal process and lymphatic drainage. Phew! I am part of the no pain no gain camp, so when it came to trialling out this new technique I told my therapist to take no prisoners. I received an intense, invigorating face, neck and shoulder massage and I felt a strange mixture of energy and relaxation post treatment. Treatment add-ons include laser therapy and internal facial exercises which involves going into the mouth! Afterwards, I looked in the mirror and I noticed more lift and a plumpness around the cheekbones and nasal labial folds (mouth lines). If that was all after 1 treatment what could I achieve after 5? A day later my has almost returned to normal. 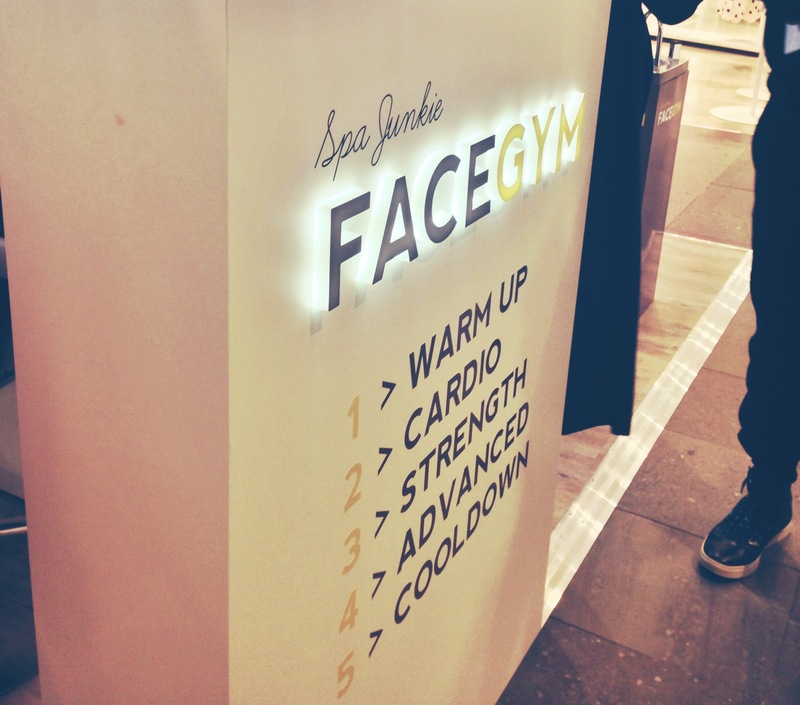 Founder, Inge Theron works out her face daily. I would recommend everyone tries this experience once, then purchases a kit and tries your best to work facial exercise into your daily routine. 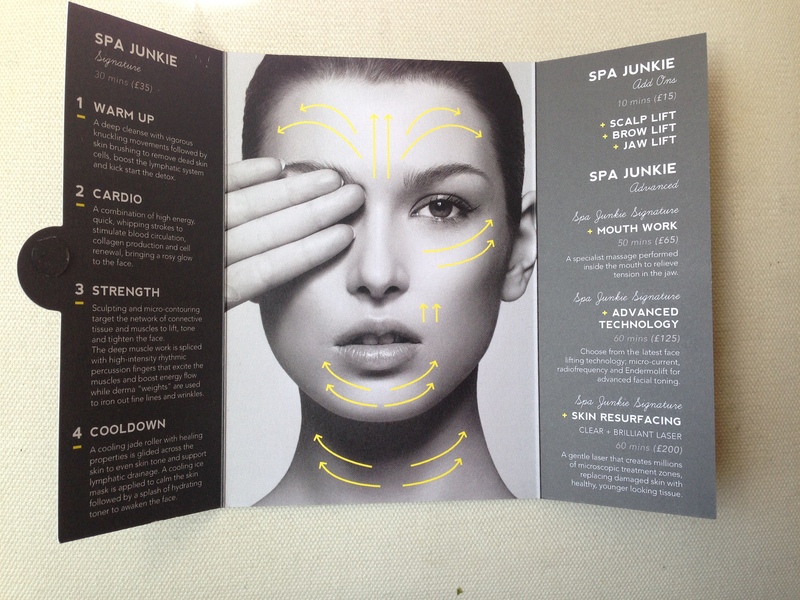 If the Face Gym’s founder and Spa Junkie Inge is anything to go by, she is without wrinkle, blemish or facial sag. 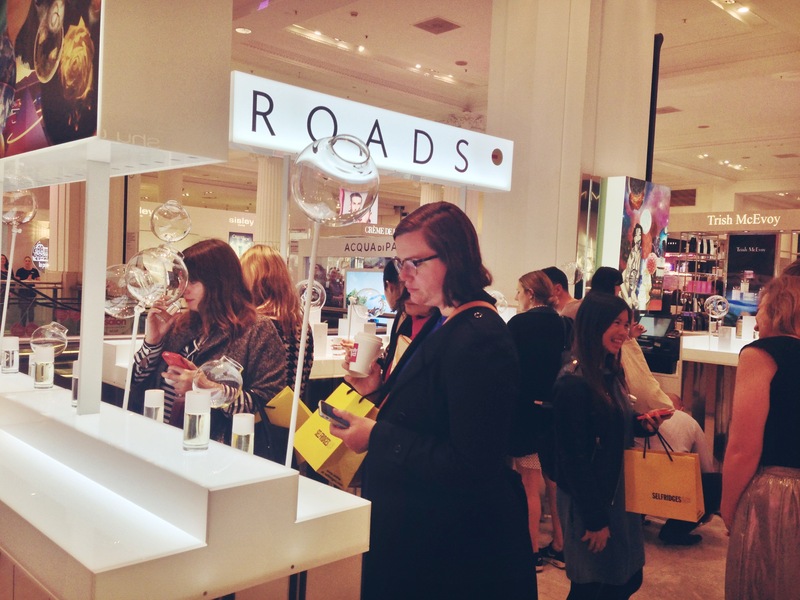 There was a heavy focus on fragrance this year with the unveiling of the european exclusive launch of Roads Perfume, 10 individually scented, unisex perfumes, each telling it’s own story. Roads is traditionally a publishing and video production house from Ireland, which begs the question; why fragrance? Founder of Roads, Danielle Ryan, explains that for her, scent and books share the same “philosophy, aesthetic and inspirations”. 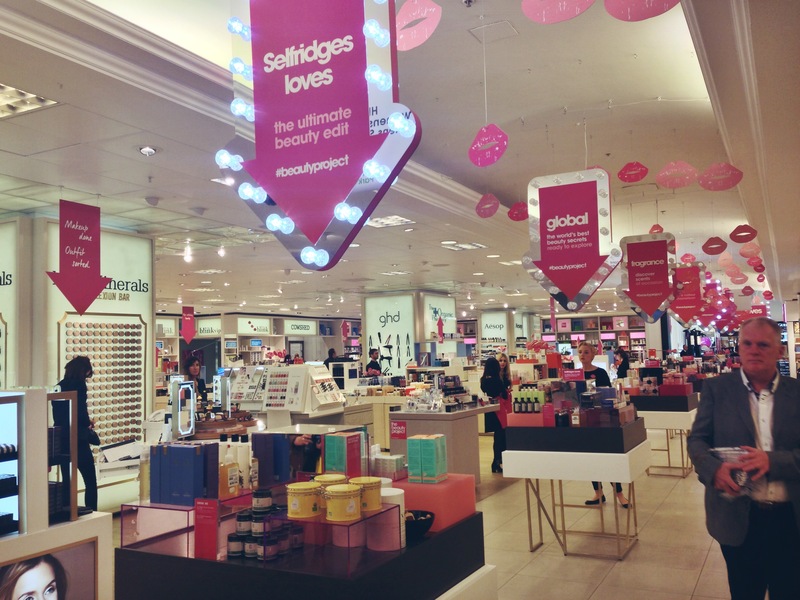 I smelt several fragrances that transported me back to some very poignant, happy times in my life. One that stood out for me was Neon, one whiff and I can see bright pink behind my eyelids (it’s ingenious how fragrance can trigger more than one sense!). The Graduate 1954 also has a comforting yet fresh scent which makes me think of youthfulness and new beginnings. 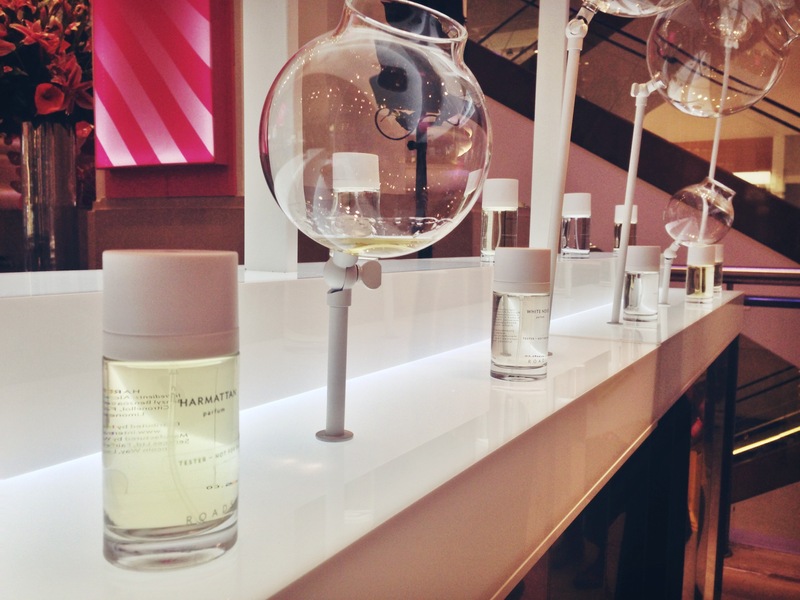 I also was lucky enough to trial the Fragrance Lab’s new and ethereal journey into the personalisation of scent, more on that in a future blog post. I have a massive respect for the Dove brand. 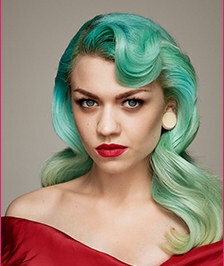 They are a wonderfully sensitive brand that reinforces a positive perception of real beauty across all their marketing. 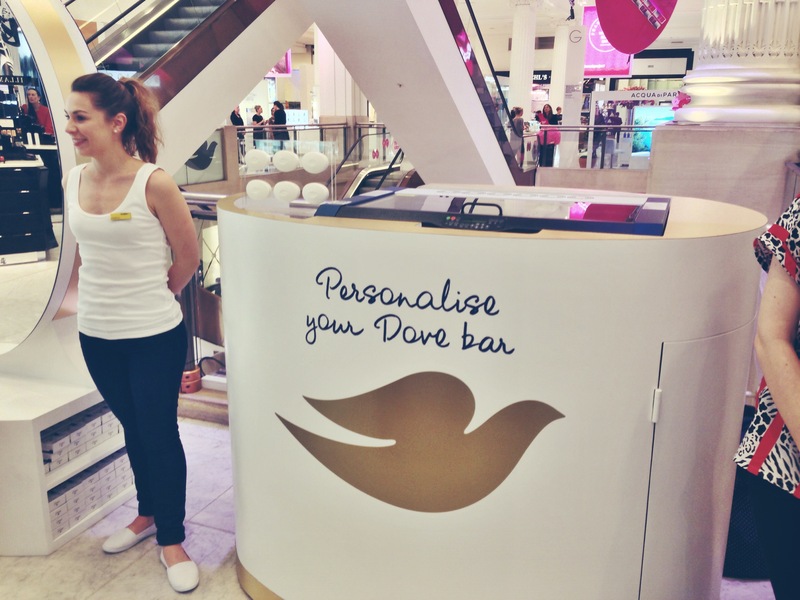 Dove are offering shoppers the chance to personalise an iconic Dove bar with your name and presented in a lovely gift box for £3.50. 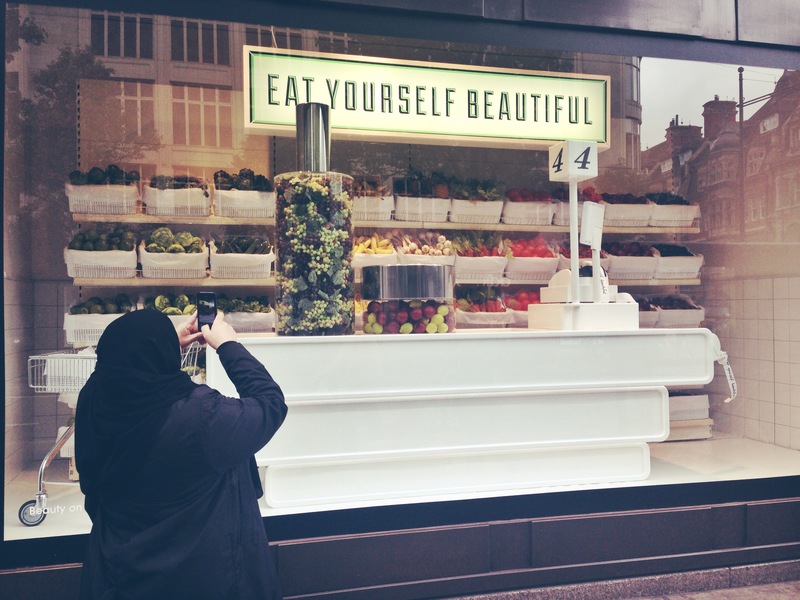 They also have plenty of selfie mirrors dotted around Selfridges, so don’t forget to strike your best pose and snap a selfie – BECA– USE YOU ARE GORGEOUS! Among other delights was a cute, pink selfie machine where users can get their face printed onto a set of artificial, stick on nails. Too much? 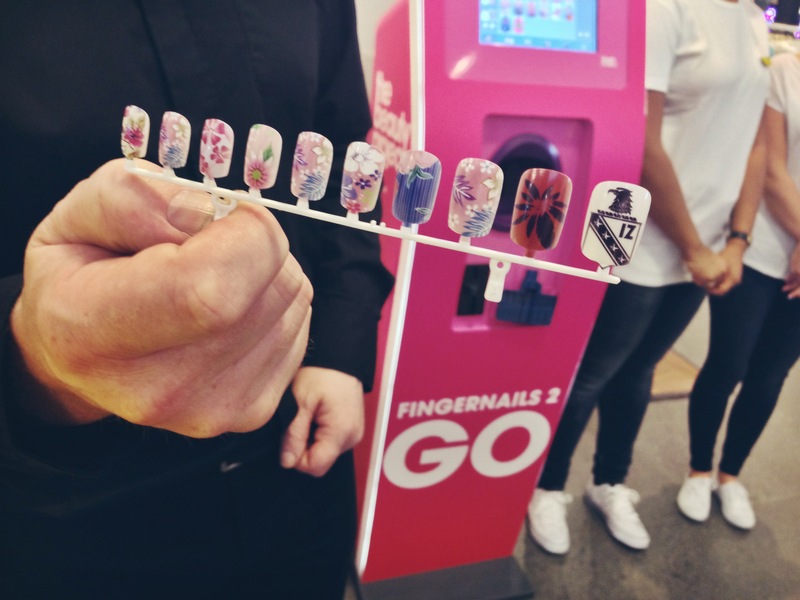 Then opt for one of their hundreds of designs they have preloaded onto the machine and walk away with a unique manicure in under 20 mins. 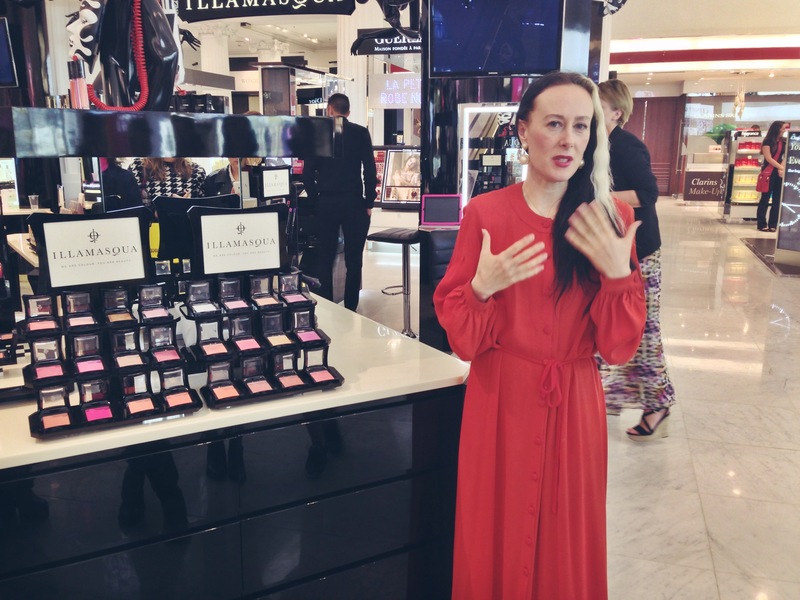 I have always wanted to meet Alex Box, founder and creative director of Illamasqua and there she stood all sultry and bohemian with a contagious air of kindness and intellect. Dressed in her burnt orange 70’s frock she spoke to us about the emotional connection a person can have with cosmetics. 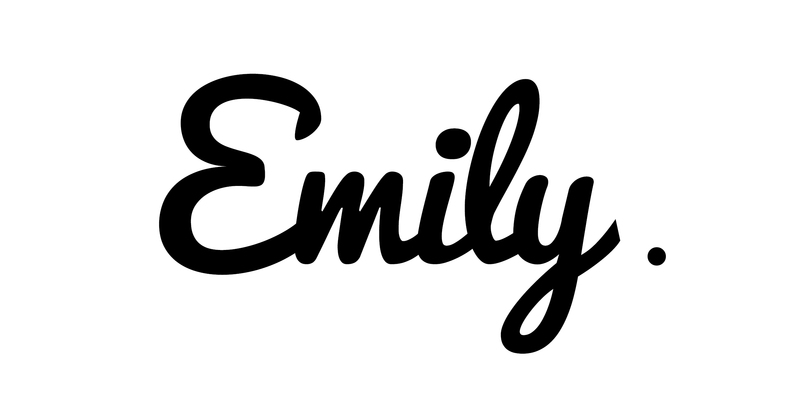 She proposed to us her own personal beauty project which will run for free on June 8th. 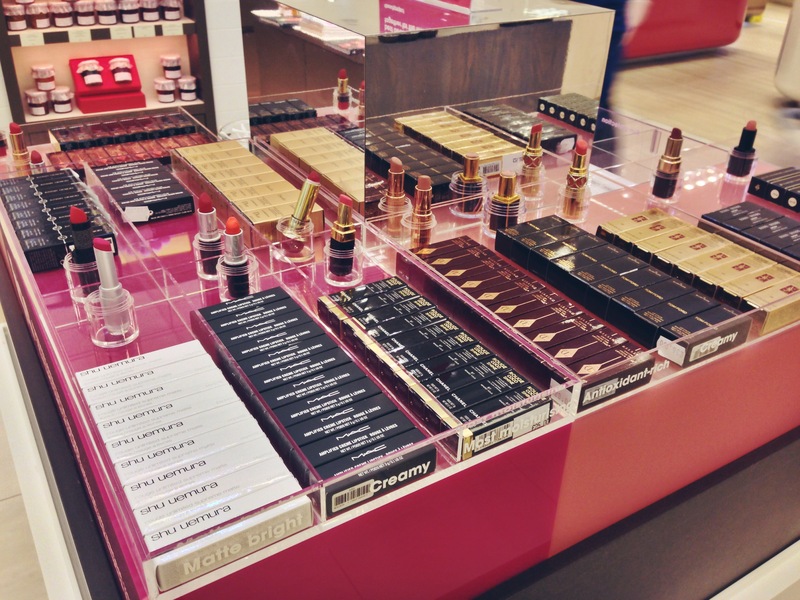 Children of all ages will have the chance to play freely with cosmetics and do an adults makeup. The thought process behind this exercise? “I wanted to have the chance to reconnect parents with their children and let everyone see the beauty and freedom you can have with makeup before “beauty rules” set in.” We learn rules and lose originality as we grow and society influences our choices. Children yet to be affected by social conformity see no rules or boundaries when playing with makeup. Beauty is an emotional and personalised experience and the more people that can discover the positivity and excitement in the industry the more we more boundaries we can break, the better products we can create. 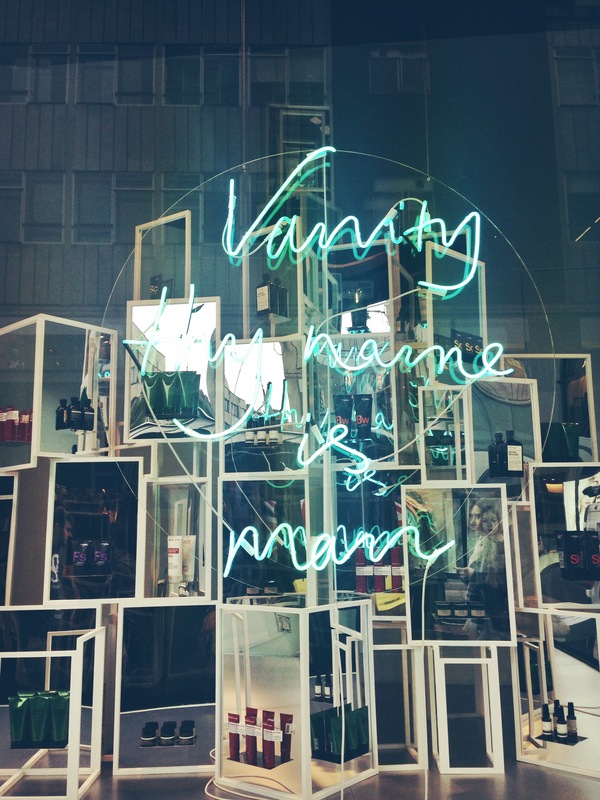 Make sure you head over to the list of events listed out on Selfridges website and RSVP early to avoid disappointment.